When choosing a self-storage unit for your belongings, you want to find a facility that is secure and protected. 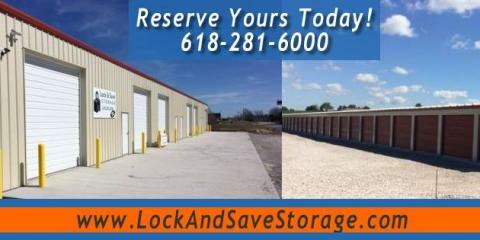 For over 3 years, residents throughout Columbia, IL, have turned to Lock & Save Storage for all their decluttering and self-storage needs. Whether you&apos;re moving and need temporary storage or your home is slowly filling up with too many items, their facility will keep your belongings in perfect condition and completely protected.